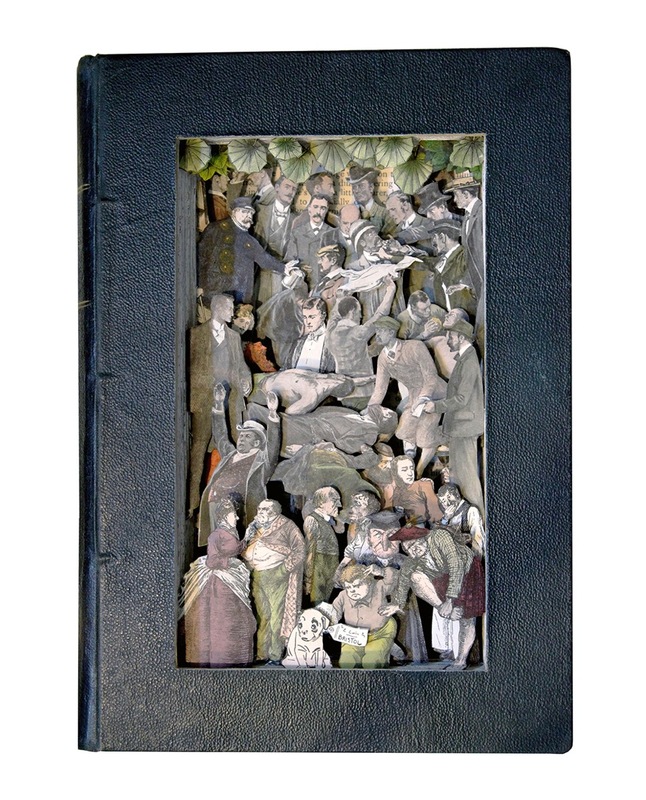 After many years of working in collage and mixed media, Kerry began exploring ways of using old, discarded books, experimenting with deconstructing and rebuilding them to produce unique pieces. Her work is a means of distilling the essence of a book while releasing the images and allowing them to reach a new audience. “I view it as a collaboration, a partnership with the past, giving new purpose to old volumes that may otherwise never see the light of day or simply end up in recycling.” For each book she works on, only the illustrations found within that particular volume(s) are used. If the picture doesn’t have color already, she adds it using inks or watercolors. A completed book sculpture has the intricacy of a Faberge egg creation while simultaneously existing as a recorded historical artifact. 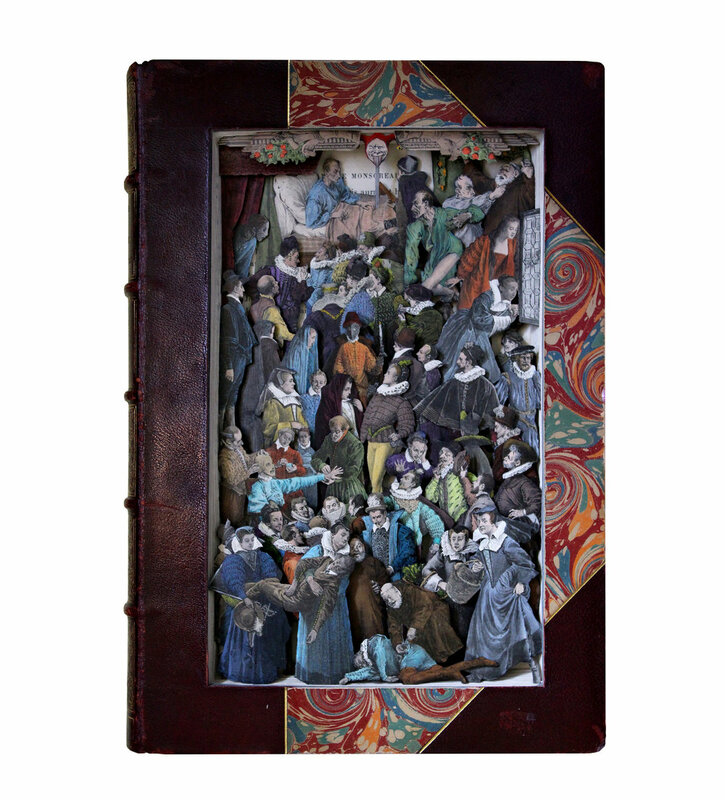 These intricately worked 3D books provide glimpses into a rich past and give them a new story to tell. As technology threatens to replace the printed word, there has never been a better time to re-imagine the book. Kerry Miller’s work is included in public and private collections in the United States and Europe.